Natural impulses arise in the human psyche leading toward growth and healthy development. For me, these impulses led to a personal journey of self-discovery and creative expression. My dreams also became a resource on this important journey. They led inward to the unconscious, the source of intuition, where ultimately freedom was found for a rich and creative life. My serious inner journey began in 1965 at age 35, but it was another nine years after my parents’ death before dream and personal work at Esalen Institute released deeply held grief. Upon retirement from the Navy in 1975, I formally continued studying psychology and fine arts, exploring as many different methods of creative expression as I could find. The original idea for The Creative Edge came to me in 1985 on the Greek Isle of Samos while touring with a group visiting ancient Greek sacred sites under the guidance of my spiritual mentor, Jungian therapist Edith Sullwold. It was my first inkling of a deeper calling. The idea germinated until I was on retreat at the 1988 Asilomar Brugh Joy year-end conference. When poet David Whyte sat down beside me at lunch, I took it as a sign to begin. When asked, he agreed to be the first Creative Edge workshop presenter. The Creative Edge was formally incorporated in California as a Section 501(c)(3) non-profit organization in 1989. During the following years, I arranged for various poets, storytellers, singers, and many other creative people to lead Creative Edge workshops and make public presentations. Like myself, many others reach mid-life yearning for a deeper connection with their creativity and life’s purpose. The Creative Edge provides an ongoing way for many to explore and share in small safe intimate groups, learning the craft as well as providing a safe place to share their emerging creative projects. into the great hall of my heart. I invite you to light yours. and songs of our praise. that gifts my heart with joy? to prevent their sharp penetration. their waves finally did drown me. some strange animal was born within me. Its deep sounds cleared my troubled soul. now feel the wild body of life’s humor. Our thoughts and imaginings are fed continuously by our emotionally guided six senses. Mystically, we receive dreams and intuitions to evoke our imagination. Like creative artists of all kinds, we all have within our psyche this rich flowing wealth of personal and collective history, and unexamined mysteries of creation. Therefore, these processes act as our creative muse and source of inspiration. As a resource, it is a full treasure chest waiting to serve our glorious response to life. When we chose to manifest our unique expressions and bring them into the world in support of life, we fulfill our soul’s gift to community, Spirit, or to Divine Creation. Our urge to express from the heart through our natural ability to sing, dance, draw, tell stories, write poetry, and make other highly creative expressions of all kinds from this personal wealth, provides a way to find, and meaningfully travel, the inner and outer roads of a rich life experience. Instead of critical judgment, when we have appreciation and curiosity about our own and each other’s personal process and creative expressions, a door opens to imagination, inspiration and our soul’s deeper longing. An open supportive group with deep respect for each person’s journey builds trust, provides safety for intimate sharing, and promotes sacred witness. This facilitates spiritual and mystical aspects of life where meaningful collective themes spontaneously emerge. Thus we gain strength to share the universal joy and pain of being human and courage to creatively participate in service to life. After twenty-eight years, The Creative Edge is on the edge of an evolutionary rebirth to fit contemporary times as social media dominates much of life. My daughter Carol Mathew-Rogers choose to take over the reigns of the corporation as President, with the unanimous backing of the Board of Directors, as Creative Edge moves toward its third decade providing workshops that facilitate creative development for individuals. She is well prepared, both academically and experientially. It gives me great pleasure to see the success of her efforts in Sacramento where she has been deeply involved in the arts over the years. Working with her makes it easy for me to let go of every day management of Creative Edge as I now approach my 87th year. Ultimately, life is an act of pure faith. By trusting deep transforming insights and life’s mysterious offerings, it may be lived without fear—including finally, when it comes, embracing death itself. Down the way of high imagination behind a dark forest of passing years there is a meadow. Hidden from view by accumulated chores and responsibilities lie treasured memories and forgotten dreams. Stop! Prune your chores! Trim responsibilities! Build a pathway through the forest. It is time to remember what lies waiting in the meadow. It is the wonder of our dreams. It is the magic of a quiet heart. In early 1990, shortly after initiating the non-profit organizational documents for The Creative Edge, I was sitting in my kitchen early one Sunday morning when a Sharp-shinned Hawk flew into the window chasing a dove for his breakfast. I watched his fierce persistence and the dove’s surrender. It was then the idea was born for use of the hawk’s image in the logo with the Ouroboros (the snake or dragon eating his tail). The mythological Ouroboros often symbolizes introspection, renewal, and cyclicality, especially in the sense of something constantly re-creating itself. Carl Jung interpreted the Ouroboros as having an archetypal significance to the human psyche. It was also like the mythological phoenix symbol, which operates in cycles that begin anew as soon as they end. The symbol of a hawk inside the Ouroboros reflects elements of a process where it takes fierce courage to continually search deeply inside our selves, over and over, to discover the hidden richness of our developing psyche. It requires surrender, in both art and life, to facing death of the old, and rebirth of the new. However, there are no guarantees in this process—this is the creative edge! Natural impulses arise in the human psyche leading toward growth and healthy development. For the author, these impulses led to a personal journey of self discovery and creative expression. Dreams also became a resource on this important journey. They led inward to the unconscious, the source of intuition where ultimately freedom is found for a rich and creative life. Donald Mathews’ serious inner journey began in 1965 at age 35, but it was another nine years after his parents death before dream work at Esalen Institute released deeply held grief. 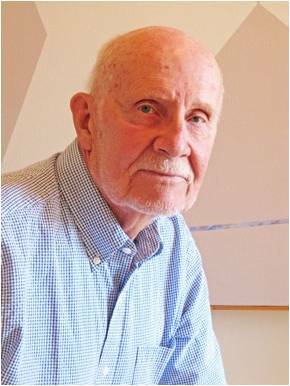 Upon retirement from the Navy in 1975, he formally continued studying psychology and fine arts exploring as many different creative expressions as he could find, including poetry. 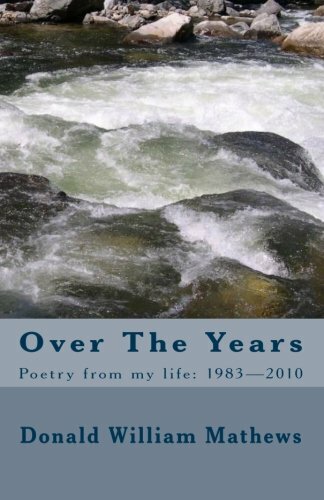 This collection of poetry written over a 27 year period after reaching mid-life reveals the many different twists and turns found on the inner journey. It is a search for meaning in life. It explores some of the important emotional life themes of love, pain, grief and death-themes one must encounter on the way to becoming fully human. Ultimately, life is an act of pure faith. By trusting deep transforming insights and life’s mysterious beauty, it can be lived without fear- including finally, death itself. This book is an invitation to share a personal journey through poetry. Read more, Preview and Buy the book, here on Amazon.